Details of NYE Dublin – The Ultimate Gathering were announced at the Mansion House, Dublin today Monday 25th of November. Now in its third year, this year’s NYE Festival has grown to four full days of festivities, drawing a fitting close to the year of the Gathering firmly cementing Dublin’s status as a world class destination for New Year’s Eve. 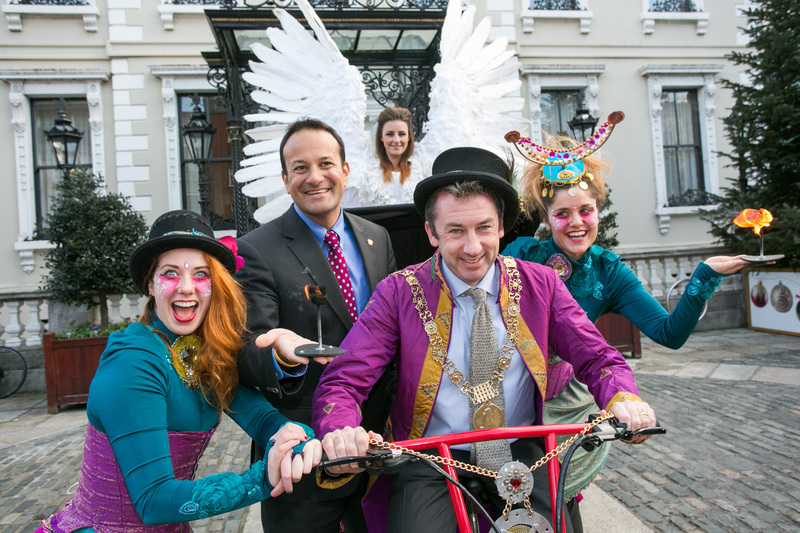 This year’s festival brings together the best of the capital’s holiday traditions with brand new and quirky events that are expected to welcome thousands of locals and visitors to Dublin. The NYE Festival was established in 2011 and Dublin’s status as a world class destination for New Year’s Eve has grown ever since, with the Lonely Planet recently declaring Dublin one of the world’s top places to ring in a New Year. “Dublin truly deserves its place as one of the great world cities to spend New Year’s Eve and this year is set to be extra special. I’m particularly looking forward to leading Dubliners and visitors alike in the Procession of Light and gathering in Meeting House Square for the Big Brunch on 1st January. Dublin city and Dubliners have played a huge role in the Gathering so I am delighted that our beautiful city will play host to the Ultimate Gathering”. Also speaking at the launch, The Gathering Ireland Project Director, Jim Miley reminded people that there is still time to make that Gathering invitation and celebrate New Year in Ireland’s capital city. 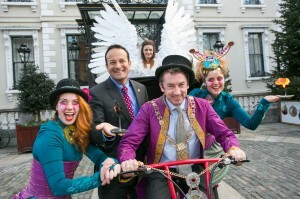 The NYE Dublin Festival is a joint initiative of Fáilte Ireland and Dublin City Council and is produced by Davis Events. The festival was established in 2011 to drive tourism to Dublin over the New Year’s period, establishing Dublin as a top destination for New Year’s Eve. NYE Dublin 2013 opened the Gathering Ireland 2013 and, sponsored by Three, this year’s ‘3 NYE Dublin 2014 – The Ultimate Gathering’, will officially close a year of Gatherings. NYE Dublin 2014- The Ultimate Gathering consists of four days of festivities. • 29th December : The Gathering at Leopardstown will see the home of Christmas racing celebrate the Gathering with special performances from Mary Black and Finbar Furey and a percentage of ticket prices going to the London Irish Centre and The Forgotten Irish. • 30th December: Love Dublin Day will celebrate the city’s flair for music and literature with a number of free pop-up events across quirky venues. • 31st December: The Procession of Light will mark the beginning of the end of the Gathering Ireland 2013 as over 1000 people parade through the city’s streets holding lanterns made at free family workshops. The procession will be joined by pageants, street artists, musicians and a marching band and will conclude with a spectacular acrobatic finale at St. Stephen’s Green. Registration is free but places are limited. • 1st January: The Big Brunch will prolong the NYE festivities with a special children’s programme of face painting, balloon modelling, puppet and magic shows, plus a kids disco and children’s choir. Grown-ups can browse the market stalls; enjoy the vintage tea dance and Electric Céilí and hang their New Year’s resolutions on The Resolution Tree. Complete with retractable rain covers, the Big Brunch in temple Bar’s Meeting House Square promises to keep the whole family entertained.